Vietnam is one of the most vulnerable countries to the effects of climate change. The densely populated coastal areas are exposed to tropical storms and saltwater intrusion, while increasing temperatures and worsening droughts and floods threaten food security and livelihoods. 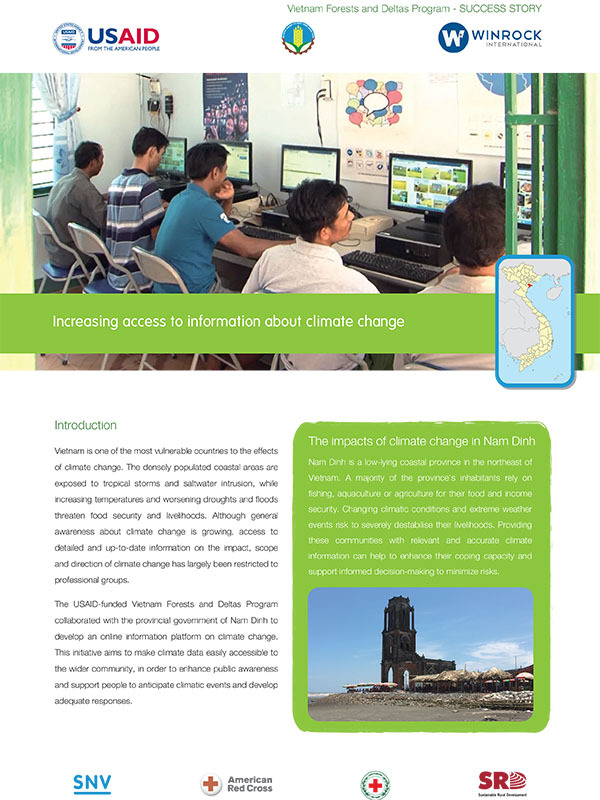 Although general awareness about climate change is growing, access to detailed and up-to-date information on the impact, scope and direction of climate change has largely been restricted to professional groups.